What is inside Ebbsfleet Station? 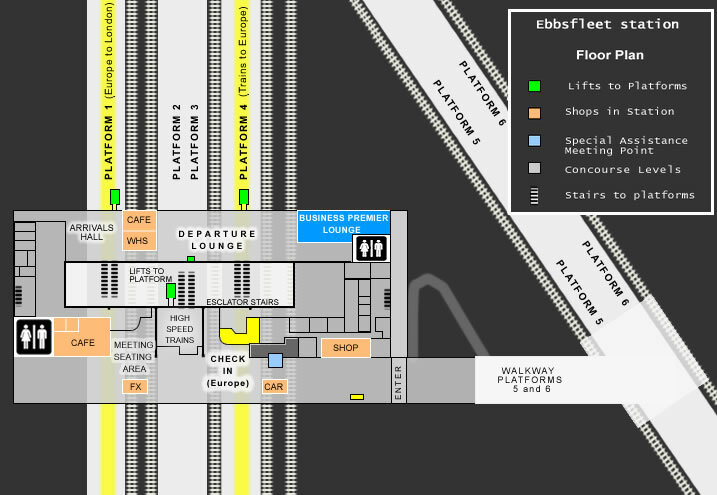 The floor-plan at Ebbsfleet station below displays the different zones in the station. Find out what is in the station. There are cash (ATM) machines located inside the station, and visitors can exchange currency at the ticket desk. Both euros and pounds are accepted at Ebbsfleet International. *Please note, the lifts at Ebbsfleet International are out of order until March 2010.